New colors –plum, teal, frozen, and midnight. We have some new colors this year. This is river blue, dyed with Green Shades organic certified dyes. 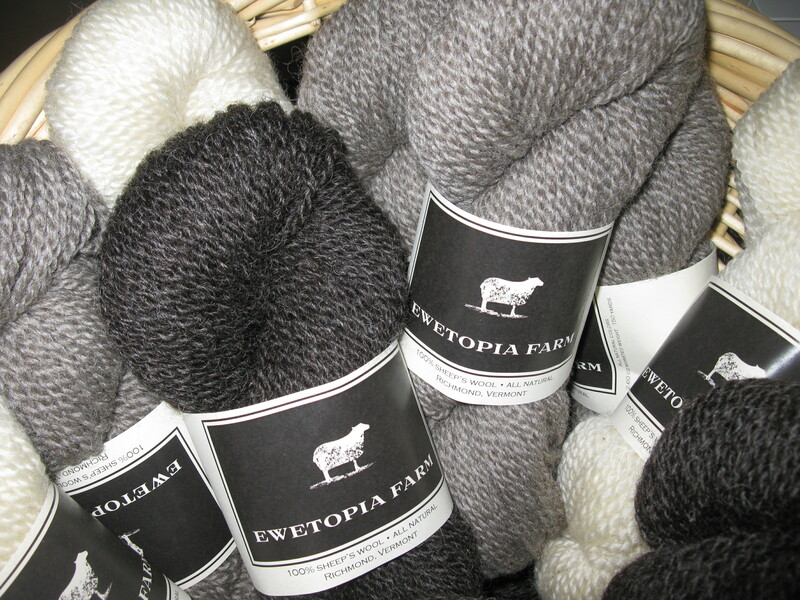 We offer yarn and rovings in three natural colors: white, grey, and dark chocolate. Our sheep are a Border Leicester, Corriedale, and Lincoln cross. We also have a selection of colors — hand- dyed with Greener Shades organic certified dyes. Our Yarn: Light Worsted Weight 2.60 ounce skein (150 yards). 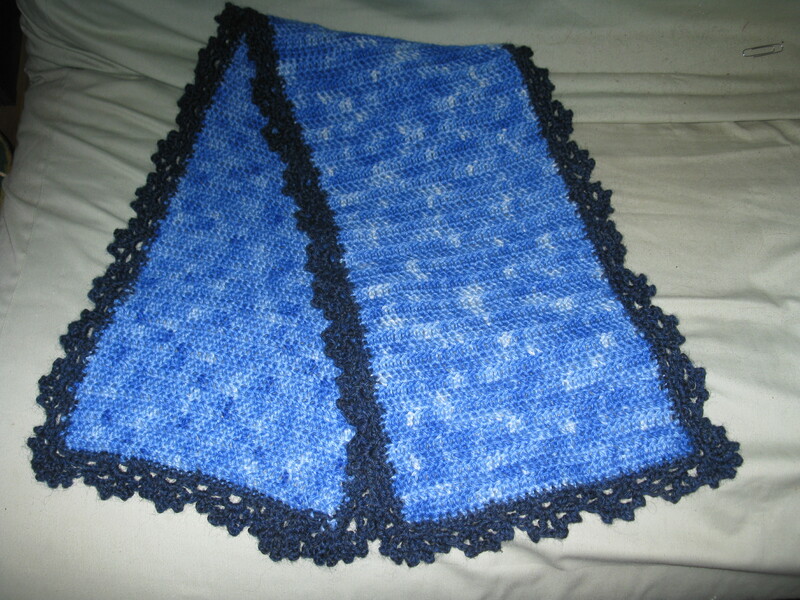 Worsted weight: 2.68 oz. (125 yards). 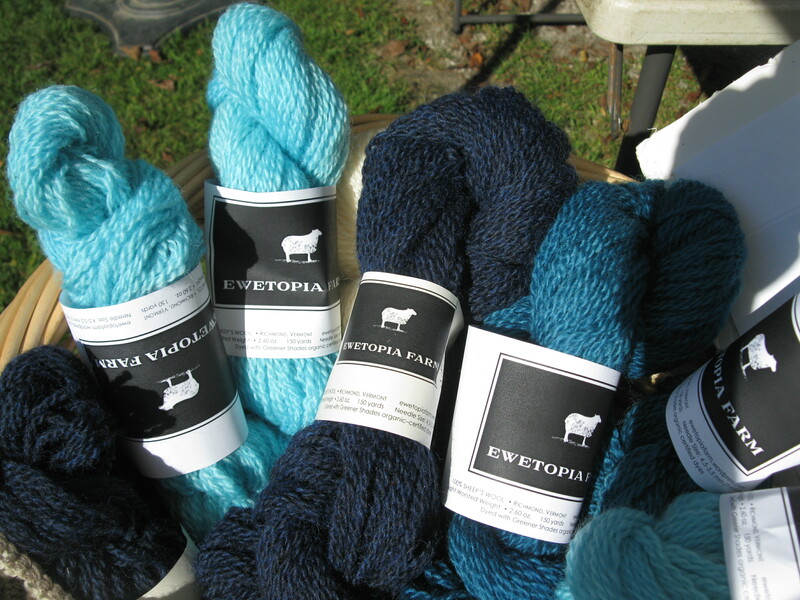 Our yarn is available at the Knitting Studio, 122 Main Street in Montpelier. Contact us: alexislathem@gmail.com. (802) 434-4245. We have rovings for hand-spinners and felters. Alexis- thanks again for the fabulous mocha ice cream the other day at the market. So..I went to post Ewetopia in the WSBA business directory-and low and behold, you’re already listed!! Since you guys seem to be expanding, you may be interested in joining-we have got a marketing partnership going with Breezy HIll marketing of Richmond and would be happy to promote your webpage and products. Let me know if you’d like more info….otherwise, good luck with your beautiful and tasty products. 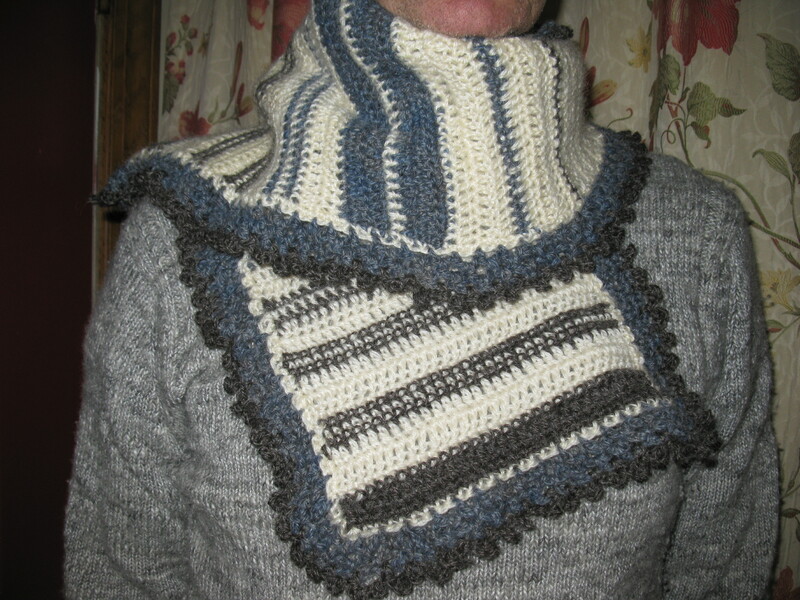 I have a room full of wool but am passing your info on to my similarly knitting obsessed friends! Thank you for your nice comments, and for helping to spread the word about our farm. 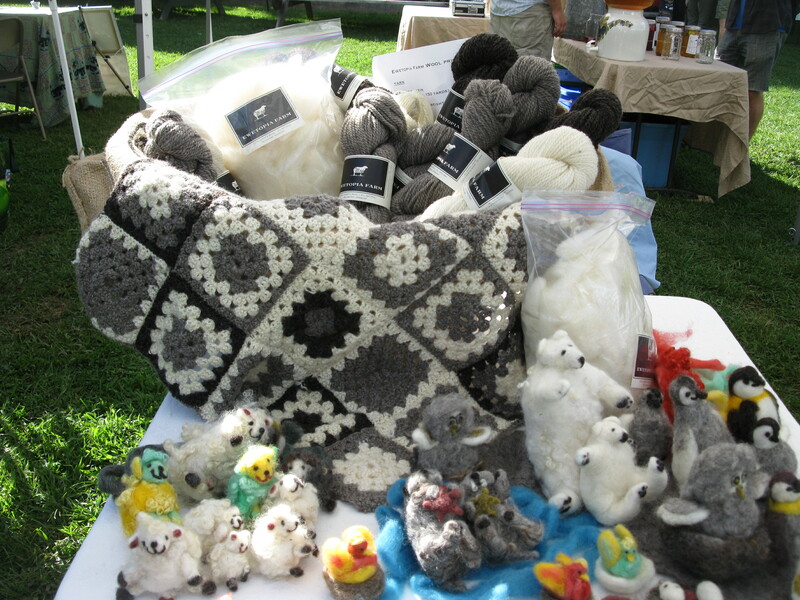 We have lots and lots of yarn, fresh from the Hampton fiber mill down the road. 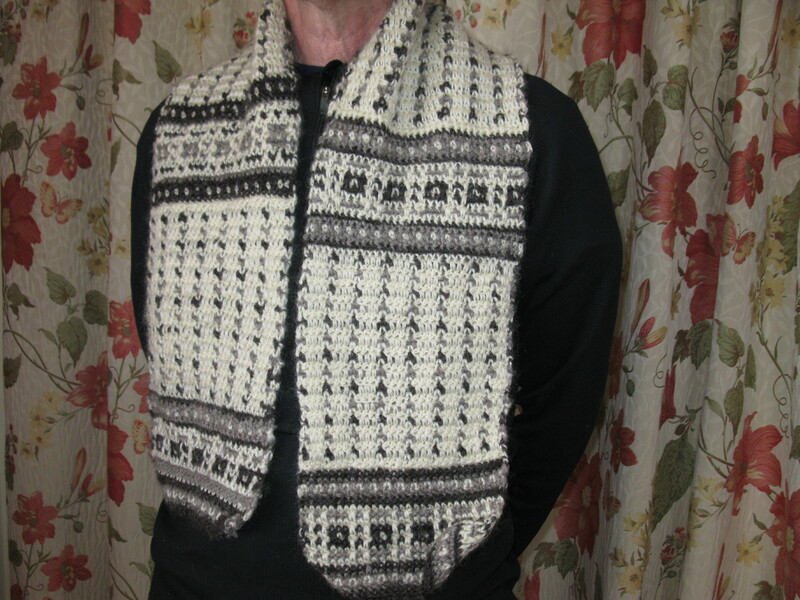 We would love to see it find its way into the hands of knitters. And we’re glad you enjoyed the ice cream.